Day 6: Anime You Want To See But Haven’t Yet? 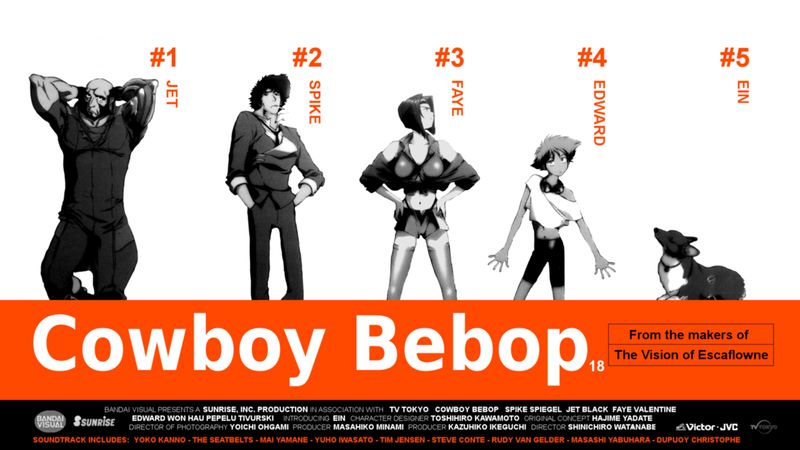 An anime that I really need to see and haven’t yet has to be Cowboy Bebop. I’ve heard a lot about it as far as how good it is and I know that I definitely have to see it. So don’t be mad at me my followers because I definitely plan to see it. But what about you guys what anime have you guys been wanting to see but haven’t yet?